The album fades in from nothing with the gradual increase in volume of the pulse of an electronic sound from the guitar, which is carefully joined by the brushing of cymbals and what appears to be the extended technique of vocalising through the trumpet. This is Tomas Fujiwara’s trio of himself (composer/drums), Brandon Seabrook (guitar) and Ralph Alessi (trumpet). Having been recorded live the compositions are free flowing and continuous in sound throughout, with one piece blending into another either through the pieces being merged together through performance, and the possible use of sympathetic editing with Fujiwara’s drums often providing the link. 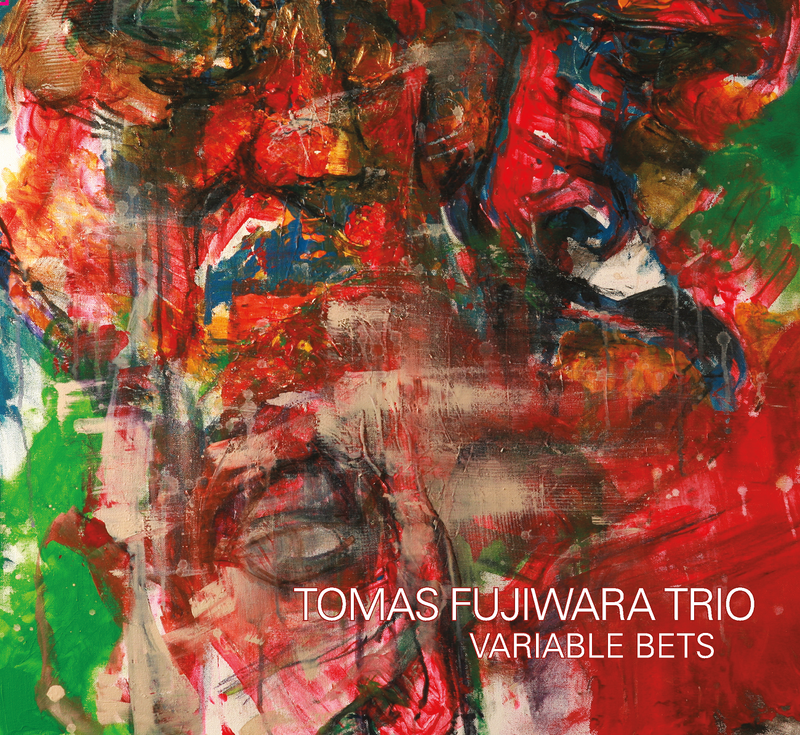 Fujiwara’s drums generate a scattering of sound and the skittering rhythms create great interplay between the guitar and the trumpet. Brandon Seabrook is very deft at carefully using effects to colour the guitar’s sound on the one hand and on the other to provide more electronic sounding material, which adds to the contrast in the overall structure of the pieces. At other times Seabrook can be found providing Ralph Alessi’s trumpet with a melodic sparring partner or harmonic support. Whilst much of the music is complex with quick interchanges and imitation between the instruments the music is also allowed to breath with other sections providing a good foil for the busier textures. Another strength of the album is the contrast between the moments which are much more open and free and those which contain much more solid harmonic musical devices such as chord sequences and repeated riffs. These elements seem to be introduced at very timely points which really help with the continuum of the music and not only makes for exciting listening but increases the intrigue as the music continues to develop. Stand-out tracks such as A Table’s Stern featuring variations based on a theme by the saxophonist Benny Golson where the music is completely deconstructed and then also referenced with more traditional quotations, and The Comb which starts in a much more reflective manner and contains a catchy guitar ostinato with changing bass notes. It’s no coincidence that both of these pieces are also the two longest, not only letting the music stretch out but also allowing it to settle on an idea and exploring it more thoroughly. This is a live set of interesting pieces played by a very solid trio that have a real sense of togetherness and musical understanding whilst being able to improvise independently from one another. Variable Bets is an album that grows in time, as there is much to enjoy on each subsequent listen.